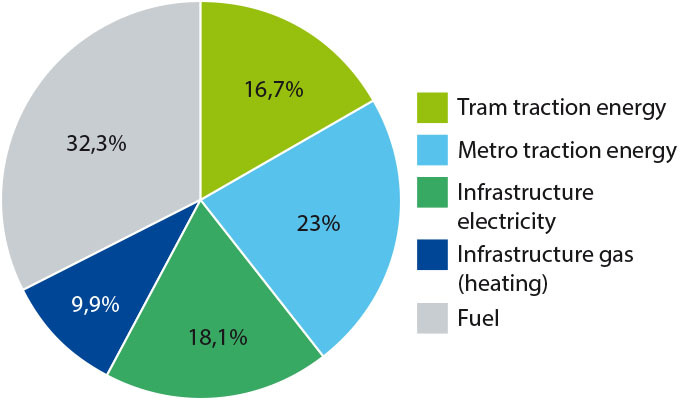 In 2012, STIB spent €21 million per year on electricity and €13 million on fuel (including support fleet). 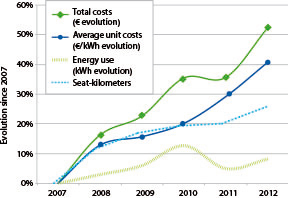 The energy costs increased by 53% between 2007 and 2012. This increase results from a 9% increase of the energy consumption due to services expansion, and from a 41% increase in the energy price. 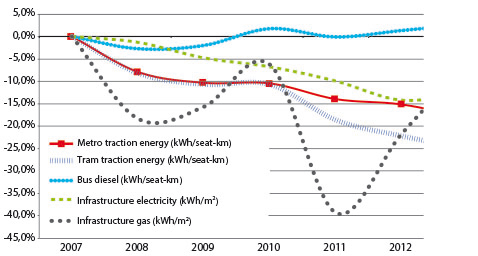 It should also be pointed out that the operator’s energy efficiency considerably improved over this period, since transport services (expressed in seat.kilometres) increased by 25%, whereas energy consumption increased by only 8%.